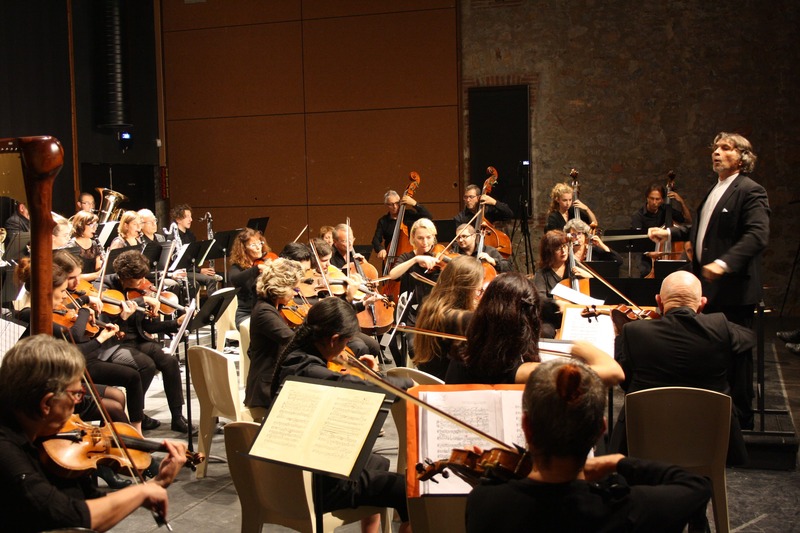 The Orchestre Symphonique d’Alénya-Roussillon (OSAR) invites you to celebrate the magic of Christmas with a selection of traditional English carol music by John Rutter and extracts from Handel’s Messiah. 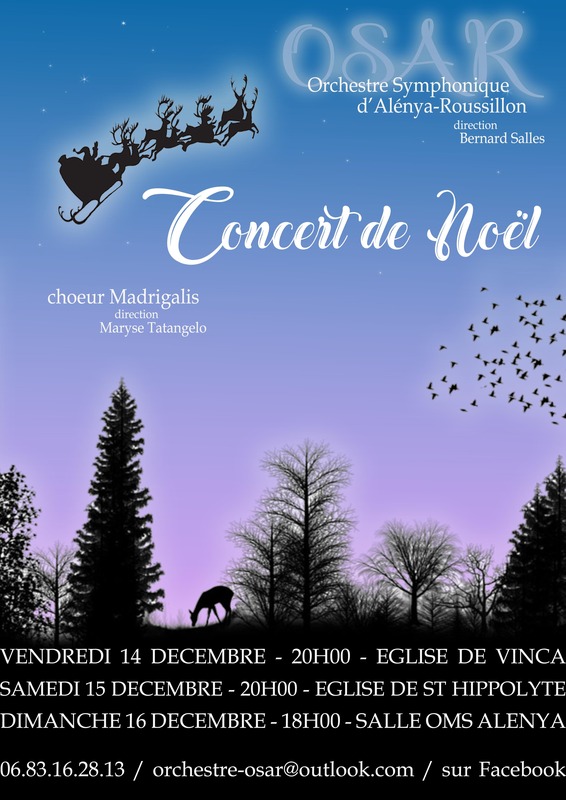 This programme of festive music will be completed by choral and orchestral works by Vivaldi, Bach, Mozart and Fauré. Maryse Tatangelo’s Madrigalis choir will join the orchestra, under the baton of Bernard Salles. This is a family concert which can be enjoyed by music lovers of all ages. Tickets will be on sale at the venues, one hour before the concerts start.